Photo courtesy of amy-wong.com on Flickr. 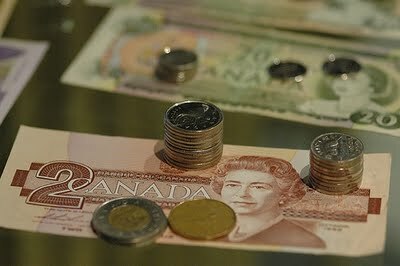 ...the Canadian dollar surpassed the US dollar in value. In fact, it has risen up to 27% against the dollar since January. However, the loonie has fallen back to to parity this week. I meant to re-cap this development when it happened back in September. But procrastination and baseball delayed this post. But at least I can do a roundup as this news has sunk in. We should begin with the best, so here's Paul Krugman's scary prediction that the dollar will be sharply devalued sooner or later as countries stop buying our currency. Christy Harden Smith at Friedoglake has a little roundup. And Tankwoman regrets throwing-away all those Canadian coins years ago.